In this edition of the Bedrosian Book Club Podcast, we’re looking at a book on gentrification called A Neighborhood That Never Changes, by Japonica Brown-Saracino. Brown-Saracino, through studying people in four different neighborhoods, redefines the types of newcomers and how they interact with the standing neighborhood and neighbors. We question the notions of quality, authenticity, and change that are at the heart of the many narratives going on in neighborhoods across the world. To listen to the Bedrosian Book Club Podcast discussion of A Neighborhood That Never Changes, click the orange arrow in the Soundcloud player at the top of this post. Or you can download it and subscribe to the through Soundcloud or iTunes! 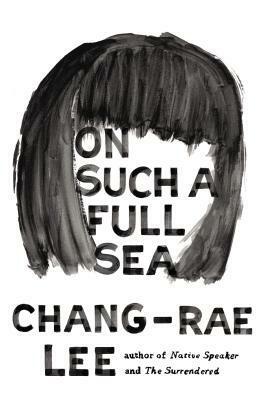 Tune in next time for a conversation about On Such a Full Sea by Chang-Rae Lee – the acclaimed novel set in an unsettling near future. This brilliant novel will begin a two month long look at how envisioning the future is necessary to thinking about the present, and in our line of work, planning for a better future. Our On Such a Full Sea episode will air at the end of May, read along with us and share your thoughts on Facebook. Email Aubrey if you are interested in joining the Facebook group! This entry was posted in Blog, Book Club Podcast. Bookmark the permalink.